We started our bamboo planting activities in Kenya with two pilot plantations in Muranga, north of Nairobi. 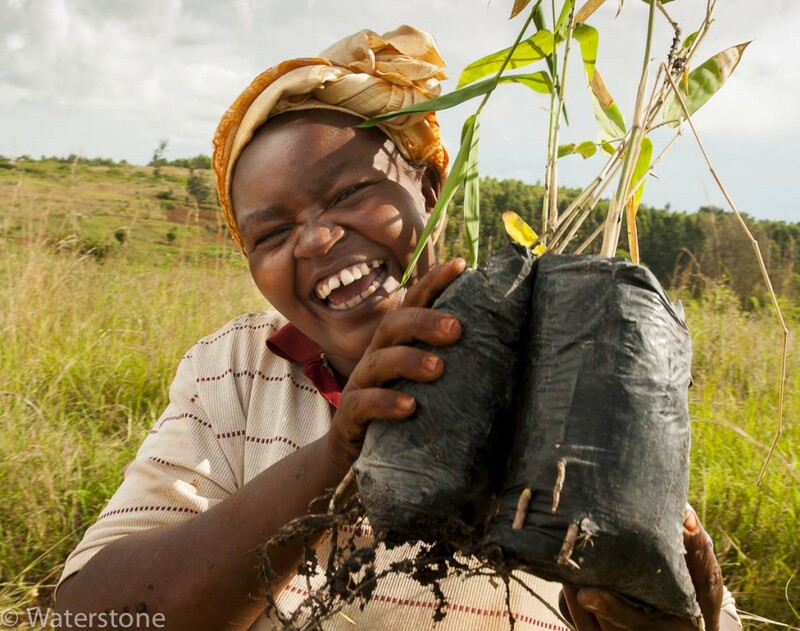 Waterstone Resource Fiber partnered with the Greenbelt Movement (GBM), a Kenyan NGO empowering women to plant trees, on this initiative. 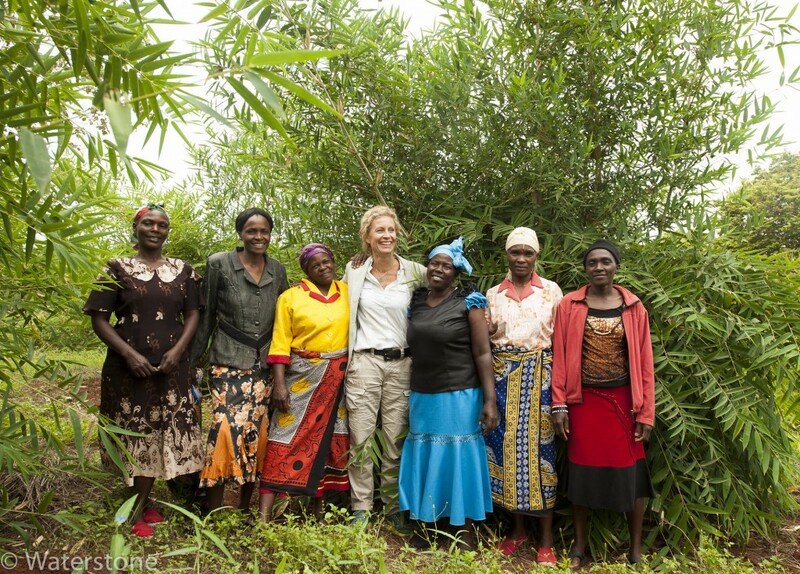 GBM was chosen because of their proven ability to mobilize communities and women to plant trees, protect forests, manage their resources to improve forest ecosystem services, and improve livelihoods in agricultural communities. Land was prepared and the first seedlings were planted in May 2013, just before the rainy season. We planted several different species, to document performance under various conditions, and have followed and documented the development each plant individually. By September 2015 most of the plants had stalks / culms that were 8(?) meters high. The initiative includes the full cycle of bamboo cultivation, and the whole value chain of production, from propagation, via planting, site management, harvesting, processing, end product design and manufacturing, and marketing and sales. Strict environmental guidelines have been followed throughout, including the use of organic, non-synthetic pesticides and fertilizers, and traditional methods for pest control. The project tests and highlights best practices and has become a learning center for the scaling up of bamboo production in Kenya. It promotes innovative ways of combining sustainable bamboo forestry, kilns for efficient bamboo charcoal production, energy efficient cookstoves, and local production of useful household bamboo utensils and other products. The pilot plots are efficient tools for showing the economic and environmental benefits of bamboo. Community enthusiasm and awareness are growing, and have created a platform for new bamboo enterprises and the possibility for scaling up the bamboo industry.